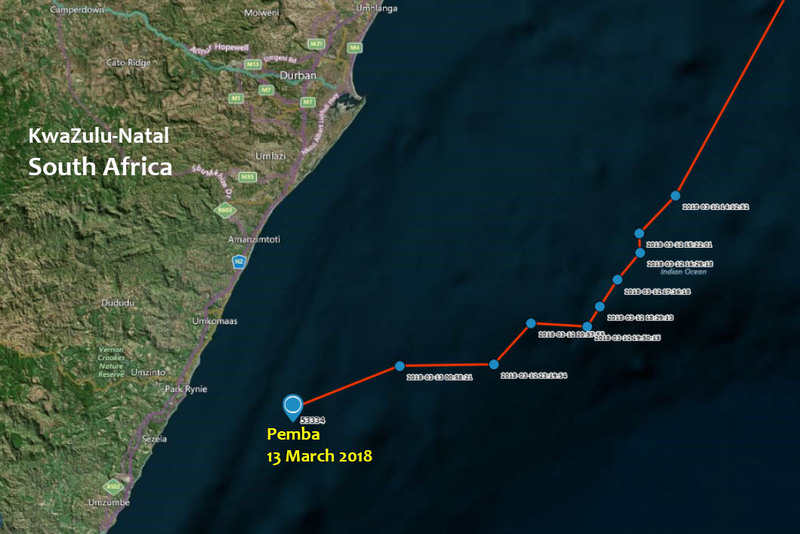 Pemba has left the KwaZulu-Natal coast and is steadily continuing southwards, approximately 30km offshore. She seems to be using the Agulhas Current to her full advantage, cruising at an average speed of 3.6km/h (top speed is just over 10km/h). She has travelled 572km in 7 days. Some GPS points are inaccurate at times, this explains the one location point on land. 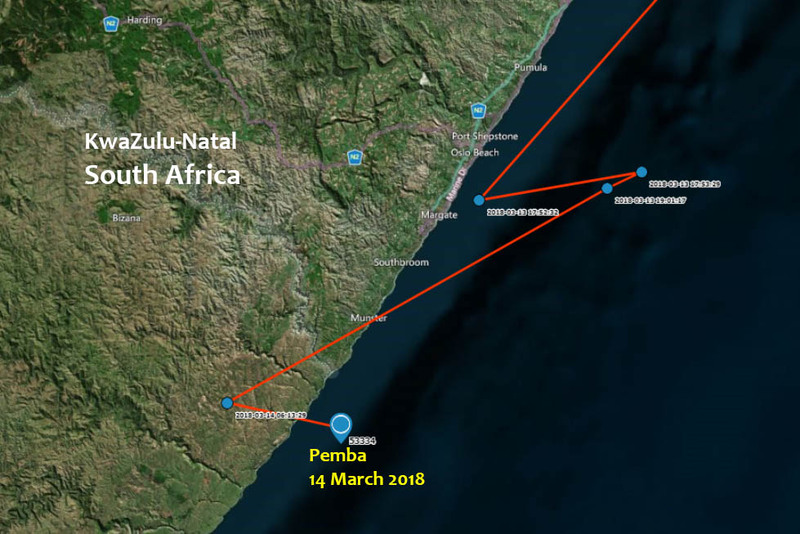 Pemba's location on 14 March 2018. Pemba's location 13 March 2018.